After stopping in at Longwood Brewery I headed to where it all began at Longwood Brew Pub & Restaurant at the other end of Nanaimo. Longwood Brewery now creates the packaged products while only the beer consumed on site at the brew pub is made their. 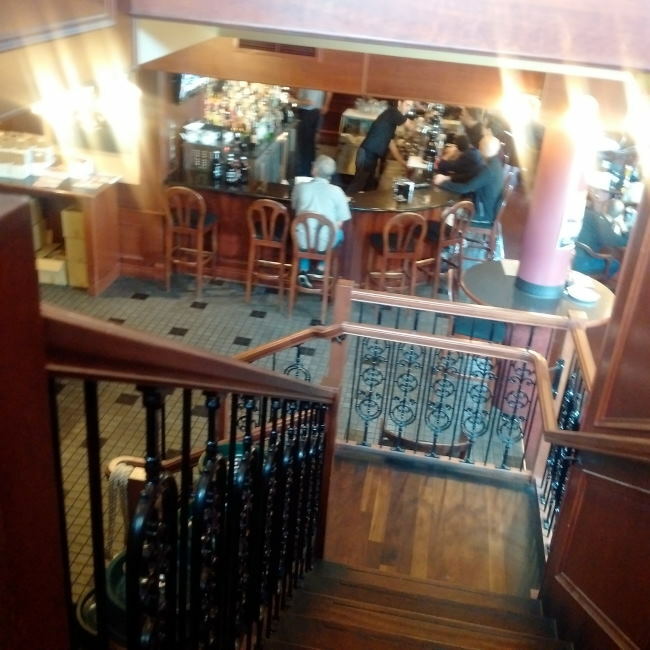 This location consists of both a restaurant (Upstairs) and a Pub (Downstairs). I decided to head down to the pub for a bite to eat and some beer. First though I noticed that on the top level was also housed the Brew House. I stopped to take a few photos before heading down to the bar. After poking around a bit I headed down stairs. Directly at the bottom of the stairs you will find the small room that houses the breweries fermentation tanks. There is also a small lab on site. I would have taken more photos of the pub itself but it was quite busy. The pub has a bit of an English Pub style to it. They even have a section of cask engines serving some great cask ale. I had an Irish Red Ale and Extra Special Bitter pulled from the cask engines. The food menu was a pretty standard menu with burgers, sandwiches, salads and appies. If the island does one thing right it is Brew Pubs. This one is no different with great food and good beer. I recommend checking this place out! 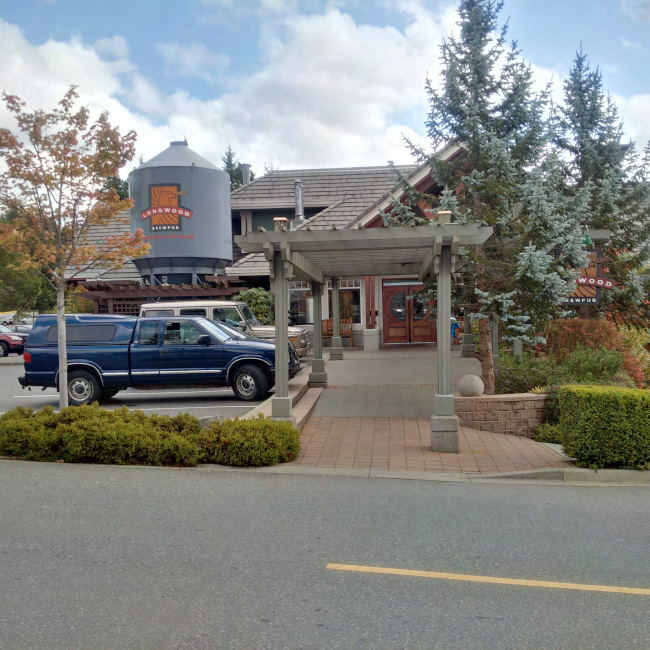 This entry was posted in Beer Travel, Brew Pub and tagged bc, beer, brew pub, brewery, craft brewery, longwood brew pub, longwood brew pub & restaurant, longwood brew pub and restaurant, nanaimo, vancouver island.